Thousands of loyal customers, who are now friends, have made Kiva's what it is today. Three and sometimes four generations in a family enjoy Kiva's fares. From our first humble menu to our current, Kiva's concept has been to bring quality baking and cooking, using high quality ingredients for our health-conscientious clientele. 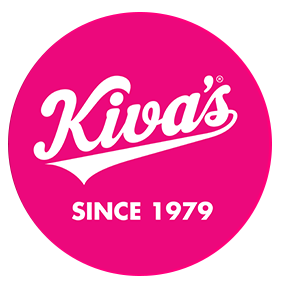 At Kiva's we never use preservatives, additives or conditioners in our food. For these reasons, and above all taste, our simple but high-quality food has risen above the rest to be delivered to the businesses and boardrooms of Toronto. We are also grateful for all our customers and look forward to forging new relationships and welcome those who have not yet tried Kiva's. or call the PANIC LINE at (416) 663-9933 for all your last minute delivery needs. Catering to all your edible needs for one or one thousand! Kiva's offers fast delivery and fresh healthy food at a great value. We are your delivery gurus for any function: Staff + board meetings, seminars, focus groups, openings, retirements, club-house meetings, cocktail parties or even "Bagel Fridays". Kiva's has been preparing delicious and beautiful catering in Toronto since 1979. Referrals and praise are often given by our satisfied loyal customers. Large or small catering events, it would be our pleasure for our family to cater your next family function: birthdays, graduation, anniversaries, weddings, funeral, shiva, bar and bat mitzva, bris / baby namings and parties.